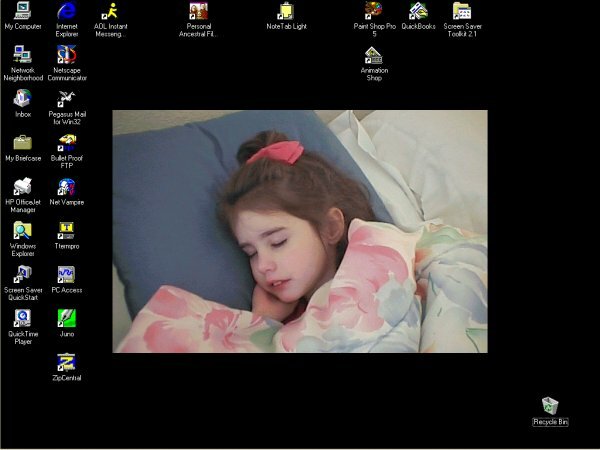 Use your own images as background wallpaper to personalize your computer desktop. Have special images on your display in the background at all times, and cycle through them automatically, while you work unimpeded in the foreground. Keep your memories alive of friends, family, pets or vacations, or simply gaze at your favorite movie star! Center the image on your screen, resize the image to fit the screen, or create a tiled effect. Easy access to setup and configuration options from the tool tray. 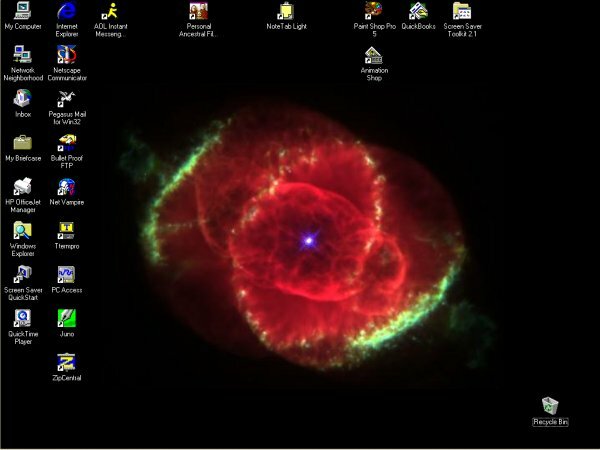 Obtain a free evaluation version of the e-motional Wallpaper Manager by clicking on Download above. 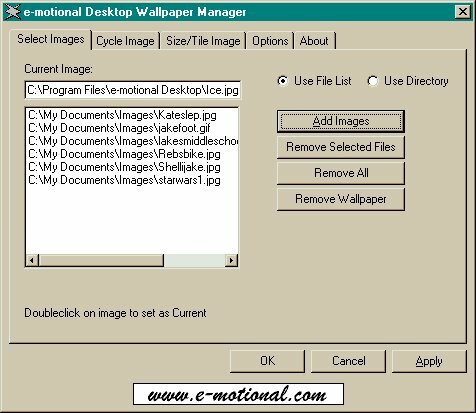 The following images illustrate some of the configuration options and potential uses of your e-motional Desktop Wallpaper Manager. Click on an image to see it full-sized.